The government has formulated a National Action Plan for the production of pest-free and quality mango for domestic consumption and exports. The details of the action plan, signed off by the government on February 22, will be publicised soon. 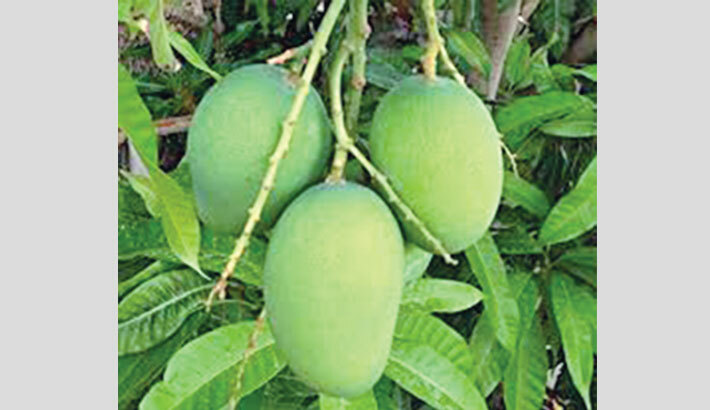 “Pest-free and safe mango will be produced through contract farming initiatives across the country,” said Mohammad Mozibul Hoque, supply chain specialist of Solidaridad Network Asia, an international supply chain development organisation. The action plan was developed through consultations with the stakeholders to leverage multilateral cooperation in developing farmers support, market structures and business linkages for the promotion of sustainable fruits and vegetable production both for the domestic and international markets, he said. “Contract farming has been made mandatory in the action plan for the production and marketing of safe fruits and vegetables. The plan emphasises to maintain the highest level of quality control and food safety standards in the production and post-harvest management,” Mozibul Hoque said. Solidaridad in collaboration with Department of Agricultural Extension (DAE) and Bangladesh Fruits, and Vegetables & Allied Products Exporters Association (BFVAPEA) mobilised the commitment of the Ministry of Agriculture and Ministry of Commerce for developing the National Action Plan for the production of safe and pest-free mango. The implementation of the action plan will help the farmers produce quality mango and supply directly to the domestic retail market and exporters. The market actors will be directly linked with the farmers and will ensure better prices of their farm produces and will incentivise the farmers to produce quality and safe mango. Solidaridad Network Asia with support from the Dutch Embassy in Bangladesh developed a business model for an inclusive supply chain for production of safe mango and market promotion both at the domestic and international level through a multi-stakeholder initiative. In 2015, in collaboration with the Department of Agricultural Extension (DAE) and two leading exporters, Solidaridad introduced contract farming with the mango farmers in Satkhira. Farmers were provided extensive support to enter into contract farming in order to produce high quality and safe mango for both domestic and international market. Through this public-private engagement, Solidaridad facilitated the adoption of good farming practices, access to better inputs and post-harvest management, storage and packaging. In 2016, a portion of the mangos was exported to EU countries.